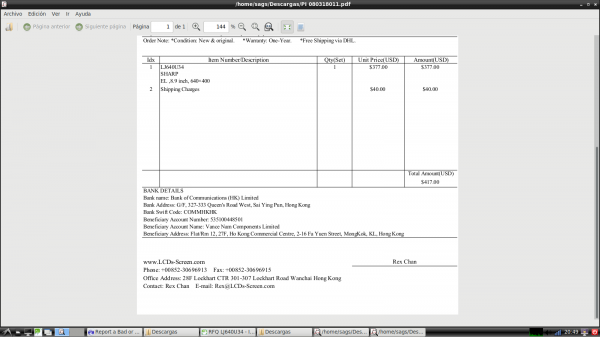 Are you performing due diligence on Vance Nam Components Limited from Hong Kong who sells Sharp EL Display? If so, you may want to read the below review of the experience of one buyer and their recommendation to consider when dealing with this company. 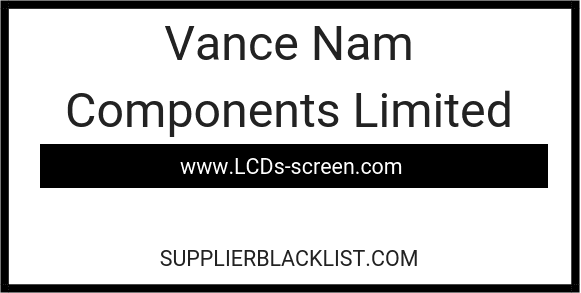 You will also find some links to help you find more related information about Vance Nam Components Limited on Supplier Blacklist and on Google as well as other bad suppliers of Sharp EL Display reported here on SBL. Searching online for a replacement for a machine to which I give service. I found this page where it is mentioned that they handle in stock the part number that they wanted to buy. At the beginning the communication was good, but once when I made the payment, it ended abruptly. A short time later, thanks to this page I found that the same person who supposedly acts as sales agent of the company had cheated / defrauded another person. It is interesting to see that the domains under which they are hosted are very similar in name. First, look deeply at the name of the company, and search it in google along with the word fraud. As well as putting the name of the sales agent or who is quoting to know if he has cheated in the past. Reporting in places like this the behavior of these people, their forms of scam, what type of products they manage, their domains with which they operate to minimize what they continue to steal. 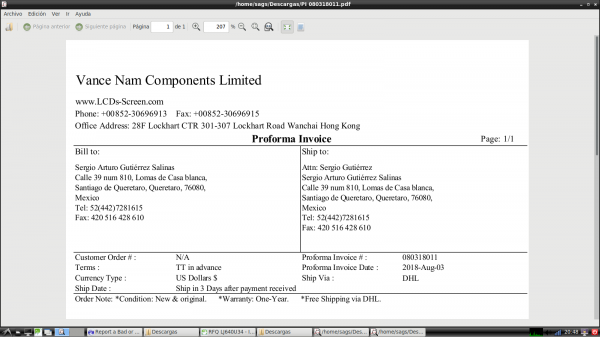 Need More Info on Vance Nam Components Limited? If you need more information, you can click the below links to search for more submissions about Vance Nam Components Limited on Supplier Blacklist as well as go to the search results page on Google for more reviews online about this company. Perform a Supplier Blacklist search for more reviews on Vance Nam Components Limited. Search Google for Vance Nam Components Limited Reviews.